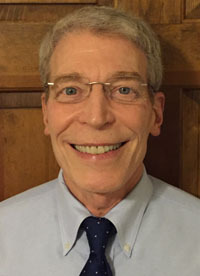 Dr. Sindelar is Associate Professor, School of Physical Therapy, Ohio University, Athens, OH and Consultant, out-patient clinic, Castrop Center, Ohio University Therapy Associates. She has a BS in physical therapy, 1975, Washington University, St. Louis and a PhD in bioengineering, 2000, University of Washington, Seattle. Her research is in the area of examining the structure/function joint interactions using the TMJ and an animal model for degenerative joint disease. She is also assessing the effects of long-term control of periodontal disease with a new treatment technique on inflammatory markers and disease outcomes. 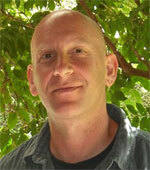 Daniel has earned his Bachelor’s degree in Physical Therapy (BPT) in 1994, his Master of Science in Physical Therapy (MSc.PT) in 2002, both at Tel-Aviv University, Israel, and his PhD at the University of Haifa, Israel in 2010, studying relationships between patient characteristics, treatment procedures, costs and outcomes, in outpatient Physical Therapy clinics. He isworking in ‘Maccabi Healthcare Services’, serving as a clinic manager and the national director of research & development in the physical therapy service. Daniel has published articles in numerous peer reviewed journals. Andy Bonin, M.D. is board certified in Family Medicine and has a Certificate of Added Qualification in Sports Medicine. He is also a Certified Professional Coder and a lifetime member of the American Academy of Family Practice. He has been a medical director for Blue Cross & Blue Shield of North Carolina since 2005, and is co-author of the insurer’s spine surgery medical coverage policy. He remains active in clinical care and teaching, and is Assistant Consulting Professor of Community and Family Medicine at the Duke University School of Medicine in Durham, NC. 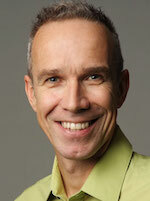 Georg has been a full time physical therapist since 1992. Since 1997 he has run the rehabilitation centre PULZ in Freiburg in Germany together with MDT-credentialed Wolfgang Schoch. He received the Diploma in Mechanical Diagnosis and Therapy from The McKenzie Institute International in 1999. The focus of his intensive clinical work is on chronic back and neck patients and extremity problems, especially sports injuries. He is co-author of the German textbooks “Physiotherapie-Techniken” (2017), “manuelletherapie Expertenwissen” (2017), “Wissenschaft transparent” (2010) and “McKenzie – Mechanische Diagnose und Therapie” (2007). Georg has published articles, comments and letters in several peer-reviewed journals. He has been the editor Germany’s first journal on sports physical therapy SPORTPHYSIO from 2013 – 2017. He is an international instructor of the McKenzie Institute International and vice president of the German McKenzie branch. Georg is the founder of IMDTRF Germany and a member of the Education Council of the McKenzie Institute International. Currently Georg is conducting research on spinal / extremity differentiation (EXPOSS), patient – therapist communication and return to activity for spinal patients. Jon graduated from Physiotherapy school in London in 1994. 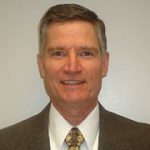 He is a member of the teaching faculty of the McKenzie Institute and a full time clinician in North Carolina where he resides and both owns and operates a McKenzie certified company. Jon has co authored several articles regarding the technique. 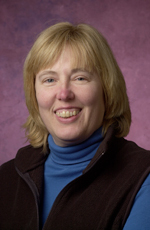 Dr. Woehrle is a Professor, Physical Therapy Program at Midwestern University, Glendale, AZ. 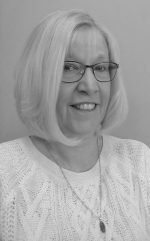 She received her BS degree in Physical Therapy from St. Louis University, St. Louis, MO, a Master in Health Science from Washington University, St. Louis, MO, and a Ph.D. in education with a specialization in teaching and learning. She is also a Board Certified Specialist in Orthopedic Physical Therapy. Research interests are areas concerning balance, gait and orthopedics and has co-authored clinical practice guidelines addressing hip OA and non-arthritic hip joint pain. Mark earned his Master of Science degree in physical therapy at Boston University in 1979. He achieved credentialing in McKenzie methods as a Diplomat in 1995. Mark’s career has centered on being a full time clinician working in a variety of outpatient physical therapy settings as well as a clinical researcher. He is interested in patient self-report outcome measures and data collected during every day clinical practice to guide effective and efficient clinical treatment decisions to enhance the value of care to our patients. Clinical research areas of interest are the McKenzie methods, centralization, conservative spine care, and the biopsychosocial model. Mark is an active referee for several physical therapy journals and has published articles in numerous peer reviewed journals.